If you're expecting to order a free domain alongside a product, but upon reaching the checkout page the domain is charged at a full price, read on. In this example the product is configured with a recurring price on Monthly and Annual billing cycles. 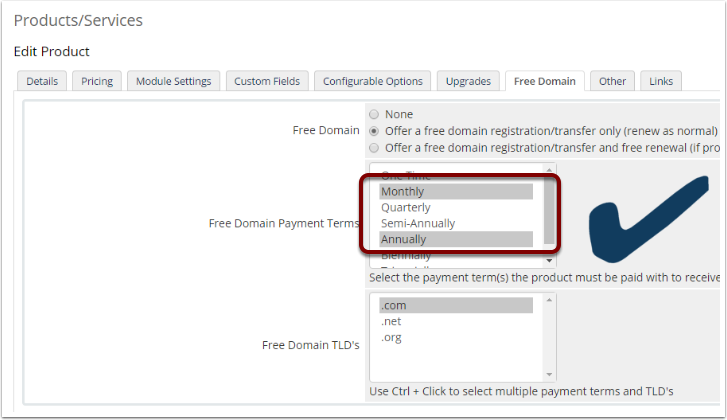 Make sure the Free Domain Payment Terms selected match those from the Pricing tab. 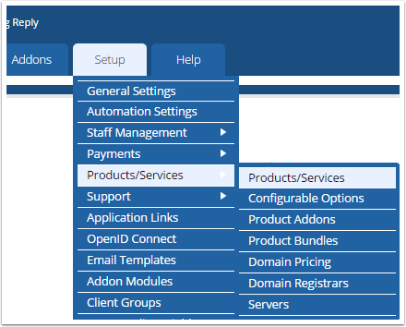 The above screenshot shows an incorrect configuration. 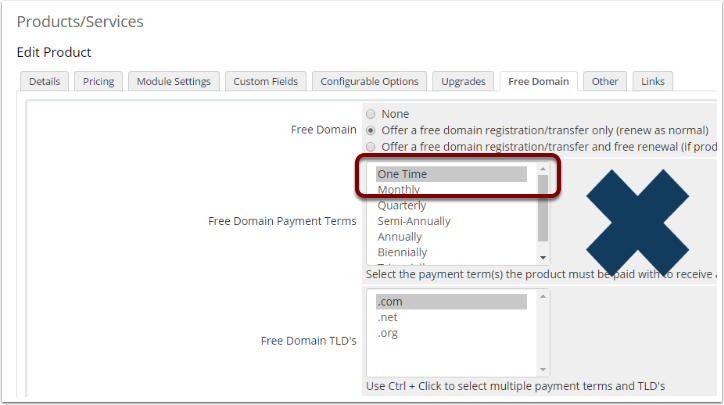 The free domain is offered when the product is purchased on a One-Time billing cycle, but the product is configured with Monthly and Annual billing cycles, so the free domain terms will never be met. If the product is ordered on a Monthly or Annual billing cycle, any .com domains will be offered for free.